Last month, the Center for Disease Control (CDC) issued a health advisory while they investigated “a multi-state outbreak of measles associated with travel to Disneyland Resort Theme Parks.” Over 150 people around the country have been infected from the recent outbreak of a disease that the CDC considered “eliminated” from the United States in 2000. That means that as of February 13 there have been more cases of measles reported in the United States in 2015 than 10 of the previous 15 years. In six weeks. Measles is no joke. Perhaps more pervasive than the virus itself, is the debate this incident has sparked in the United States on vaccinations. Not being a parent myself, I have not paid a lot of attention to the vaccination debate until now. I always thought the “anti-vaxxers,” as one public school teacher friend of mine calls them, were the ultra-crunchy ultra-minority; the kind of people who breast feed their 4-year-olds and give their kids carob instead of chocolate. As it turns out, the largest growing contingent of anti-vaxxers are educated, wealthy, and generally mainstream contributing members of society. This is not your typical U.S. health epidemic. The anti-vaccination sentiment started in 1998 when British medical researcher Dr. Andrew Wakefield released a now-debunked research paper, followed by many media interviews, claiming a link between the MMR vaccine and autism. In 2004, an investigative journalist uncovered that Dr. Wakefield had a financial conflict-of-interest in the findings. Eventually the paper’s co-authors withdrew their support, the editor-in-chief of the journal that first published Wakefield’s research declared the article “utterly false,” and Wakefield’s medical license was revoked due to the “deliberate falsification” of results used in the study. But somehow this guy still has a passionate support network. The anti-vaccination movement continues to grow (on pace with outbreaks). What little scientific evidence that existed to support the hypothesis that vaccines are more dangerous than the diseases they protect against has been annulled. There is more scientific evidence than ever that shows vaccines have saved millions of lives in just a few short generations. So why is this still an issue? What would make an educated, wealthy, American parent hang on to a conclusion that science has rebuked, yet deeply question science that’s been proven many times over? What makes a parent think their child has a high chance of experiencing side effects of vaccination that are significant enough to cause developmental or other disabilities, but that same child would be minorly inconvenienced if they contracted measles, pertussis, or polio? Dear anti-vaxxers: Is science right or wrong? Is your child’s ability to ward off negative health issues weak or strong? Are you using logic or emotion to make these decisions? Why do I care? I care because of herd immunity. And anti-vaxxers should too. In fact they should care more, because herd immunity is the only thing protecting their unvaccinated children. (At least I have been vaccinated.) These parents have been shamed by everyone from Buzzfeed to the Washington Post for relying on herd immunity to protect their children. But herd immunity has limits. 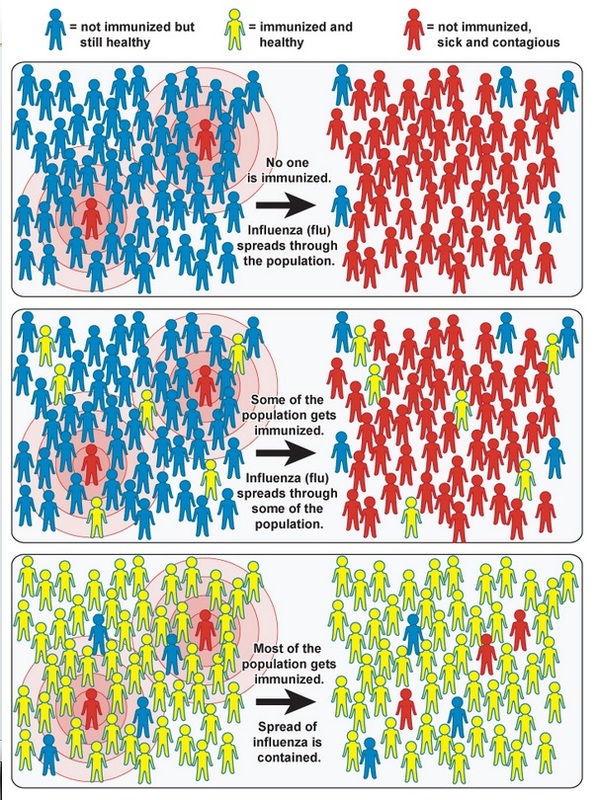 Herd immunity thresholds are different for different diseases. Note in the table below with data from the WHO and CDC, measles has one of the highest herd immunity thresholds, suggesting that if herd immunity in a population dwindles over time, measles is predicted to be one of the first vaccine-preventable illnesses to emerge. Next up: Pertussis, mumps, then polio. Estimated Herd Immunity thresholds for vaccine preventable diseases (source). This is a real threat – not just to public health. Eventually public health cripples a community’s economy with reduced tourism and reduced workforce productivity. Fear drives consumers to stay home away from restaurants, concerts, and sporting events. Stoker goes on to argue that governments should take action on this issue, but he stops short of making specific policy suggestions. This is a tough call. Do we need government intervention? All fifty states and the District of Columbia require children to be vaccinated before participating in day care or attending school. All fifty states also allow for parents to cite religion as a reason for opting out of vaccines; many also allow for a child to decline vaccination for “philosophical” reasons and require little or no explanation. This is the crux of the vaccine issue: who is right when the personal, religious, or philosophical choices of a few threaten to roll back decades of public health progress? As a (mostly) libertarian, I understand the ‘slippery slope’ argument that mandatory vaccination can be a first step toward an Orwellian existence. Up until now the anti-vaccination movement has stayed small enough that a strong herd immunity has been maintained in the United States, but if the movement continues to grow, intervention will be mandatory at some point. Where should we draw the line? What should school superintendents, mayors, or the CDC do to simultaneously protect the security of society and the rights of individuals to choose whatever they fancy? This is an very American question. Does this sound familiar? Does it sound like a debate over the Patriot Act, or maybe climate change? If my right to swing my fist ends at your nose, where does your right to carry deadly diseases end? Public schools? Private schools? The workplace? Until now, the ultra-crunchy has remained an ultra-minority, but this is no longer the case. We know a measles outbreak that affects 150 people is not the end. There are other diseases in the queue. Amy Parker has fully vaccinated her two children. I predict that over time, this problem will solve itself. It will be like hyphenating two parents’ last names to form one unwieldy multi-name for the family: you can only do it for one generation before the practice quickly reveals itself as unsustainable and idiotic. Unvaccinated children will experience these diseases alone while their vaccinated parents watch them suffer. The ones who don’t die from these diseases will grow into adults and then parents, and likely take Amy’s route of fully vaccinating their children. Society will get back in the black; as herd immunity decreases, and vaccine-preventable diseases increase in frequency, parents will trading in the increasing risk of their unvaccinated kids getting sick for the minute-yet-diminishing risk of health complications caused by vaccines. 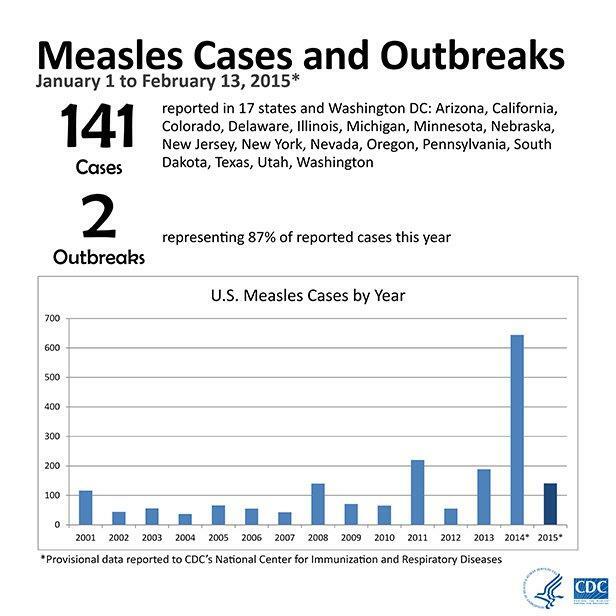 Maybe the current measles outbreak will be enough to scare the anti-vaxxers to change. Until then, government should intervene. Maybe just a tightening up of vaccination opt-out loopholes, maybe a public education campaign, but something has to give. Your right to not vaccinate your children ends at my right to live in a society that reaps the rewards of its own accomplishments. CALL FOR VOLUNTEERS – Sign up by March 2nd!